Recent drone footage of our Southampton Distribution Centre. 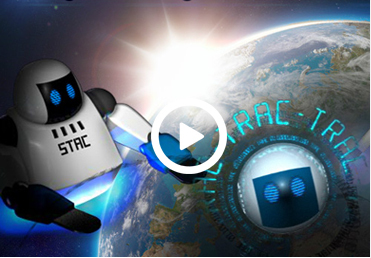 TRAC is our innovative IT system allowing our Clients unparalleled access to their stock location at our DC’s. Flexible Pay As You Go warehousing costs are explained here. Only pay VAT and Duty after your stock has left our warehouse. Introduction to our port-centric approach and logistics services. The strategic location on the UK’s south coast makes Southampton Container Port, the ideal first port of call for container ships serving the Far East to European trades. Merry Christmas from Pic, Pac and everyone at Import Services. Our second Christmas video shows Pic, Pac, Stac and Trac playing in the snow. Overview of our operation at our Southampton DC. This is the first in a series of Brexit related podcasts. Mike Thomas, Client Services Director discusses contingency plans, labour, potential delay and queues at ports and much more. UKWA Warehouse Manager of the Year Nomination! Christine Newman responds to the news of her nomination as UKWA Warehouse Manager of the Year.